Bottles created by certain famous soda companies are now, apparently, 100% plant based. That means they have a lower carbon footprint and use renewal sources. Good news. However, they are not biodegradable. Ye olde soda-pop makers have figured out how to use plants to create exactly the same polymers you find in other plastic. So when it comes to plastic pollution, nothing has changed. These bottles are still floating in oceans and clogging landfills. 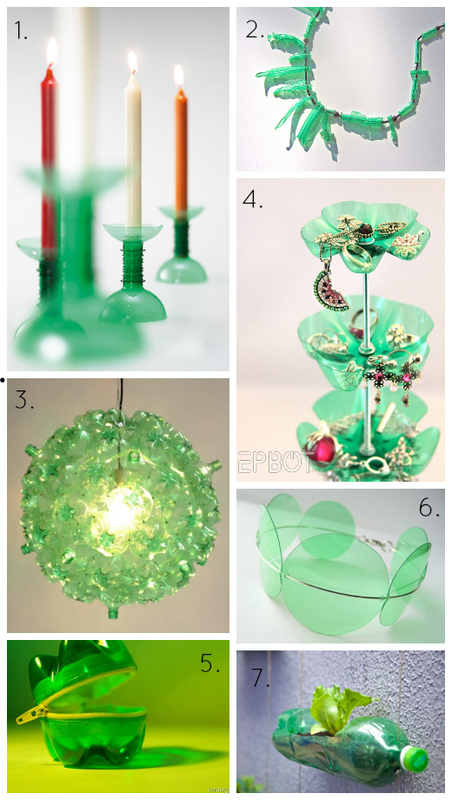 They're also being upcycled in some really appealing ways ... so don't throw them out. Be inspired and turn them into other things! 1 comment on "Upcycle: Re-"Dewing" it ... "
Love love love that bracelet!! !